Welcome to Squaw Creek Hunt Club! Comments Off on Welcome to Squaw Creek Hunt Club! 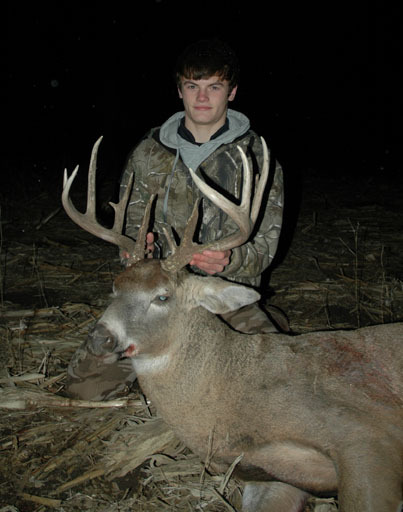 Congrats to AJ on his first Nebraska Trophy Whitetail. 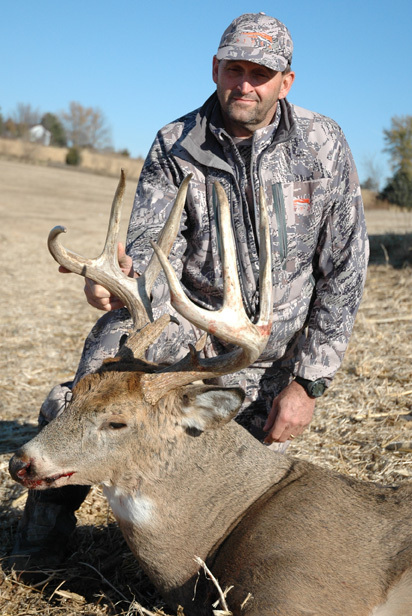 He stop this buck with a perfectly place shot at just over 150yds. 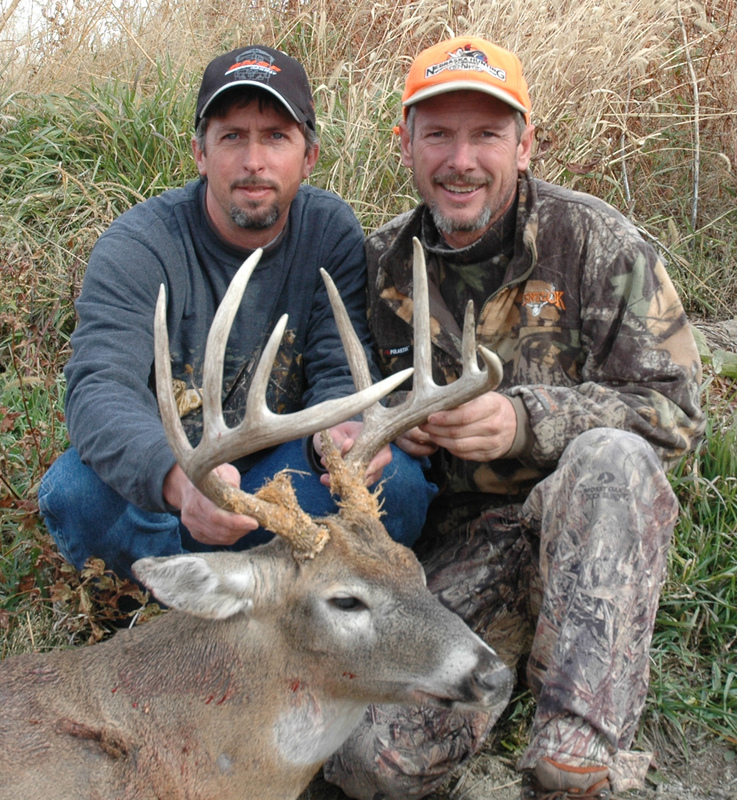 When AJ squeezed the trigger on his .300 WM the buck dropped straight to the ground. His shot had connected and taken off the top of the heart. Firearm– 22 caliber or larger with minimum of 900 ft lbs. energy at 100 yds. and 357 magnum rifles and 45 colt rifles, and shotguns 20 gauge or larger with single projectile and handguns with minimum of 400 ft lbs at 50 yds. Muzzleloader Permits -45 caliber or larger with single projectile. Archery Permits – Arrows must have sharpened points with a minimum of 9/16 cutting radius. Dark geese include Canada, brant and all other goose species, except white-fronted and light geese. one canvasback. The possession limit is twice the daily bag limit. bag and possession limits for other ducks. The possession limit is twice the daily bag limit. twice the daily bag limit. Book your Merriam’s Spring turkey hunt and complete your grand slam. 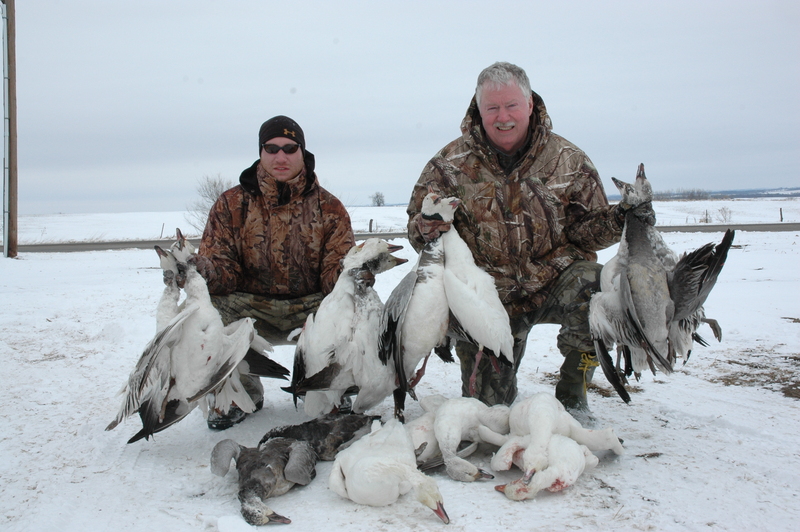 Professional Waterfowl Guides who have been hunting snows their entire lives. Well here is proof that you can hunt Ring-necked Pheasants in late December.